Being a war service veteran, I really enjoyed sharing experiences with others, many a lot younger than myself. This added greatly to my educational experience. Also, of course, having a few beers back then when we had a Pub on campus. I helped start the first Veterans Club on campus, the first since WWII. We had 1800 veteran students in those days and it served as a resting place for us during those days of war protests. It propelled my curiosity to learn new things and move forward in my life. Many of the professors I had back then were just terrific and often would join us after class to talk about many things. 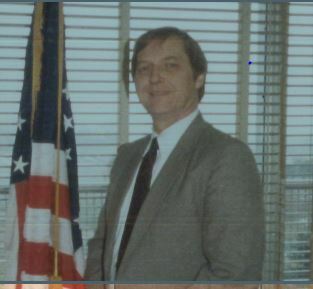 I was most fortunate to be recruited by the USDOL back in 1977 to serve as an assistant in their agency addressing veteran employment needs and issues. In 1987, I was appointed NYS Director of that agency and spent a lot of time traveling throughout the state as well as serving on my committees in our Washington, DC office. I was asked to give testimony to a veterans committee in Congress three times, met many influential people, and learned a lot. In 2000, I was honored by receiving the American Legion National Award as outstanding State Director in the Country. Tomorrow does not have to be just "another day" as Scarlet O'Hara once said. By always exploring, seeking out others that can be of help to you, by listening, and seeking out answers to your questions, tomorrow can also be "Your Day."